Valve’s Steam PC gaming platform has grown into something that very few of us imagined when it made its debut a whole 12 years ago, and PC gaming is now basically done via Steam. Thanks to its online store, and the sales it holds every now and then, Steam is also often the best place to get PC games as well, though it’s not without its problems. One of those problems has historically been the inability to delete games from a user’s history. That meant that any time a user looked in their game library, they would see every single game they ever bought. 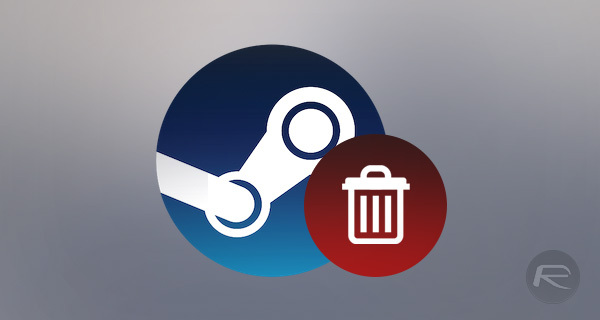 If you have bought a lot of games from Steam over the years, and some are just either obsolete or unlikely to ever be played, then deleting some of them to clean that library up was a reasonable request, but it just wasn’t possible. Well, now it is. Deleting games from your Steam library is still not quite as obvious as it could be, so here’s what you need to do. 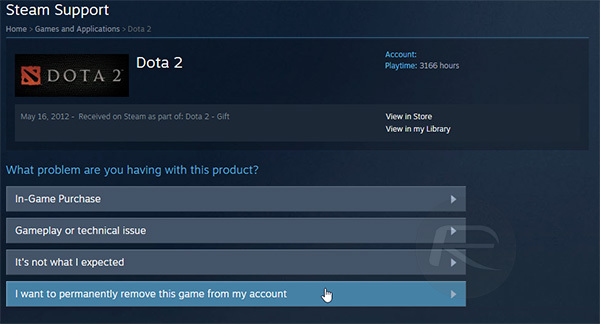 Step 2: Click Help, and then Steam Support. Step 3: Find the game that you want to remove from your library. If you have a lot of games, then this might take some time. Step 4: When you have found the game you want to get rid of, simply click I want to permanently remove this game from my account. Step 5: Repeat the process for every game that you want to remove from your Steam library. It may take a little bit of time, but it’ll be worth it to clear out some of the cruft. We’re still not sure why you can’t just right-click on a game in your library and remove it permanently from there, but who are we to question the people behind something that has almost revolutionized how PC games are bought and played? It’s probably like this so less people accidentally delete games they didn’t mean to. And I usually only list my installed games, so this is really a non-issue most of the time.